Clicking on the “Password Reset through secret question” link, the participant had to insert a valid username. With some basic guess work, we found that “admin” was the user that we were looking for. 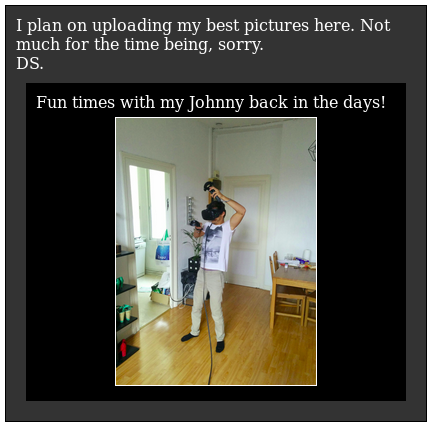 After inserting the username, the first secret question was shown to the user: “What is your real name?”. 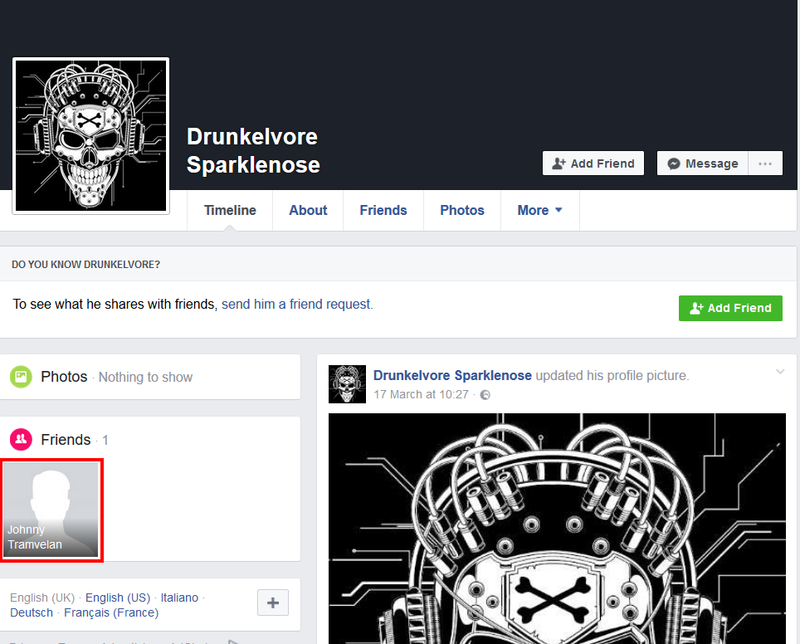 Searching in Facebook for the profile of “Drunkelvore Sparklenose”, we found a profile which had only one friend, Johnny Tramvelan, which was the correct answer for the second question. 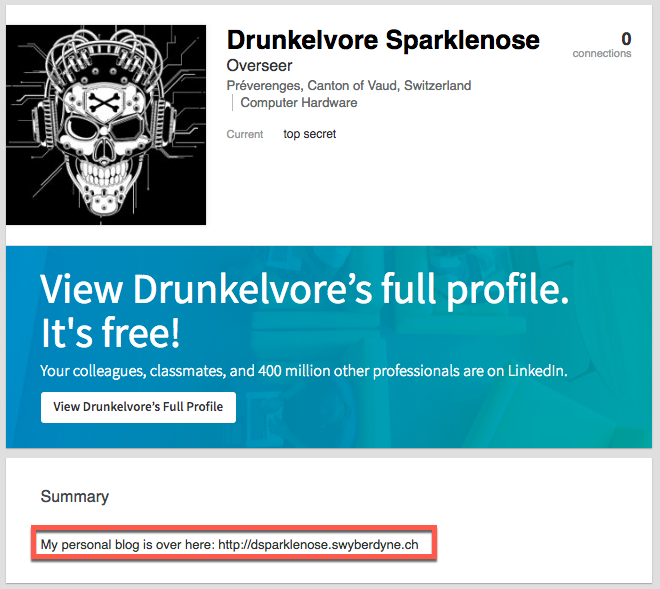 Searching on LinkedIn for “Drunkelvore Sparklenose”, we found a matching profile which disclosed the URL of a personal blog.